For the second time in four years, the Grand River Dam Authority’s Grand Lake is playing host to the prestigious “super bowl of fishing” also known as the Bassmaster Classic. The event, which draws the B.A.S.S. organization’s very best anglers, also draws worldwide attention from the competitive fishing community. Competition days will be Friday through Sunday with daily take-offs at 7 a.m. from the Hard Rock Dock at the Wolf Creek Ramp launch site in Grove and daily weigh-ins at 3:15 p.m. at the BOK Center in Tulsa. The winning angler will earn $300,000 and a 50-pound trophy that is easily the most coveted in the sport. While the weigh-ins are held at the BOK Center in Tulsa, the 46,500 surface acres of Grand Lake waters are where the eventual winner will separate himself from the pack. While the Classic is the biggest and most prestigious event to visit, Grand Lake is certainly no stranger to hosting major fishing tournaments. In fact, it is routinely listed among the nation’s best fishing destinations. If you read Bassmaster Magazine’s annual list of the 100 best fishing lakes in the United States in the summer of 2015, then, right there near the top, you saw Grand Lake. It came in at number 13, which actually equaled its highest ranking in recent years. And, not to be left out, GRDA’s Lake Hudson — sometime referred to as the “little sister” to Grand — also made the list, at Number 64. Much of that “work” centers around lake management programs, said Davis, adding that such programs are one of the factors that contribute to high rankings. 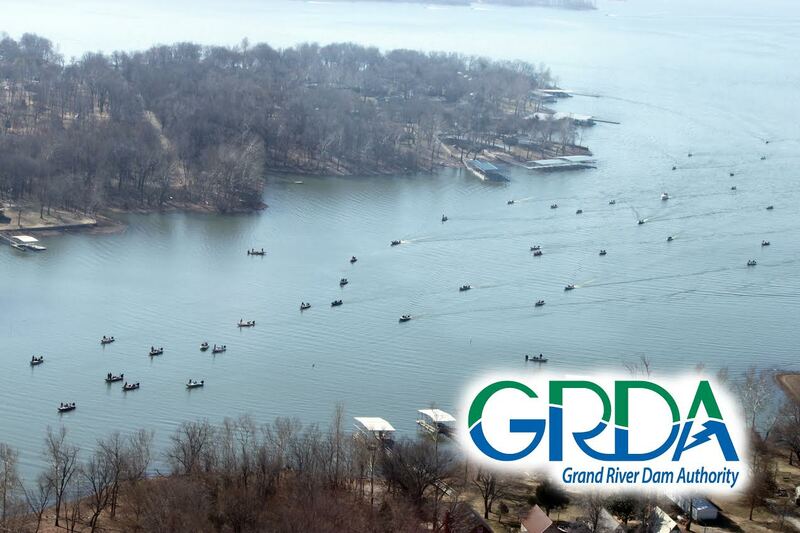 For GRDA, that includes Rush For Brush, its catch and release efforts and other initiatives to help enhance the fisheries. “B.A.S.S. is thrilled with the way GRDA manages the lakes and we’re here to help them anytime they have any kind of a tournament,” added Davis. Photo Above – A Classic view of a Grand Lake … Boats carrying competitors and spectators head across the waters of Grand Lake during the 2013 Bassmaster Classic.